Chalet "De Grote Belter" is a beautiful chalet for up to four people. The chalets are fully equipped. Chalet "De Grote Belter" is a beautiful chalet for up to four people. The chalets are fully equipped. The spacious living room has a comfortable seating area with a flatscreen TV. 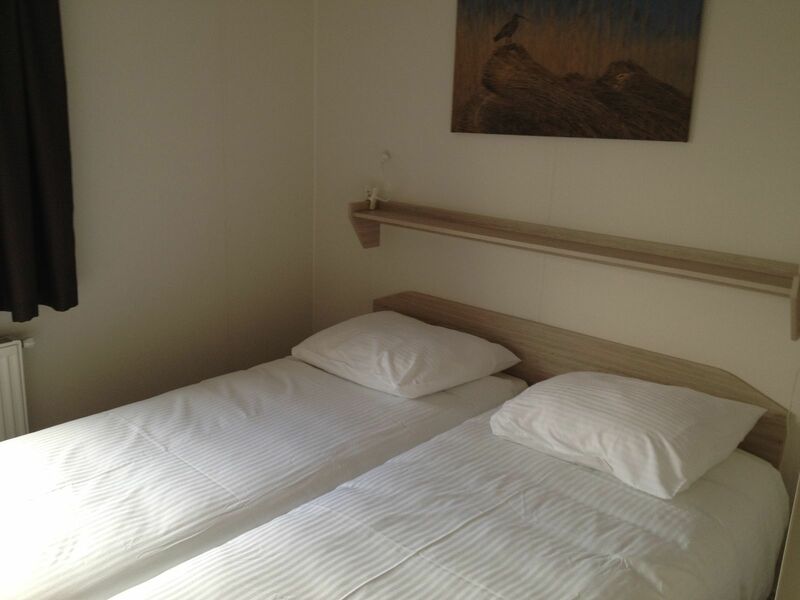 These chalets have two bedrooms, both have a double bed with box-spring mattresses and a spacious closet. The bathroom is equipped with a shower, sink and toilet. All chalets have central heating. The hardwood porch is furnished with a table and chairs. In the storage room is a laundry machine. Free WiFi (up to three devices). September 2017 - Jacek B.